Journal of Aesthetic Education, Vol. 2, No 4, October 1968, pp. 59-77. 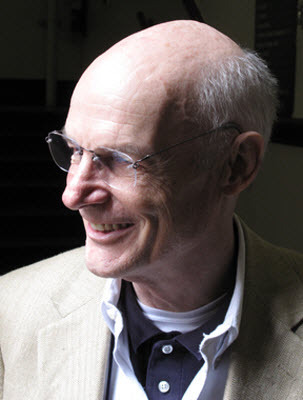 Robert McClintock is a member of the Department of Philosophy and the Social Sciences at Teachers College, Columbia University. He has published articles in The American Scholar and Revista de Occidente (Madrid), and his book, The Self and Its Circumstances: Ortega as Educator, will be published in 1969 by Teachers College Press. "Architecture and Pedagogy" will appear as the Introduction to the Classics in Education edition of Henry Barnard's School Architecture. Jean McClintock, a former associate editor for Art News, teaches the history of architecture at the Parsons School of Design. Henry Barnard, "Education, A Business for Life," Connecticut Common School Journal, Vol. 2, No. 4 (November, 1839), 55-56. It is a far more just view of school instruction than that which commonly prevails, to regard it as an introduction to the art of self-education. It ought to be so planned and conducted, as to prepare the young to understand their powers and duties, -the objects of their creation, -the character of their maker, -the ways and means of promoting the best interests of their fellow beings and themselves, and to feel a desire to exert themselves in doing and learning more and more. All views of the subject less extensive and exalted than this, are inadequate, erroneous, and delusive.... Let every friend of our common schools, therefore, place before his eyes a higher standard than any which he finds adopted around him, and consider himself as having but just commenced his education when he leaves school, instead of having just completed it. We have used the Second Edition (New York; A. S. Barnes, and Co., 1848), in which Barnard explains ( p. 5) the previous history of the work. For earlier versions see the Connecticut Common School Journal, esp. Vol. 3, 105-19; cf. Vol. 1 (1838), 14, 22-23, 36, 57-58, 67, 105-8, 142-47, and 171-72; Vol. 2 (1839), 37-38,43-45,53,59-60,67,73-74, 147, 155,157-58, 175, 179, and 209- 10; and Vol. 3 (1840), 14-18, 53, 58-62, 86-87, 94, 99-101, 156-57, 166, and 245-47. For the first edition of School Architecture, see The Journal of the Rhode Island Institute of Instruction, esp. Vol. 3 (1848), 176-424; cf. Vol. 1 (1846), 14 ff., 32 ff., and 165 ff. ; and Vol. 2 (1847), 89 ff. Consequently, the best way to get beyond cliches about "rote instruction" in old-time school, now that direct observation is impossible, go back architectural pattern books and catalogues for classroom equipment see precisely what relations between teacher taught were provided for. Henry Barnard's >School Architecture is an excellent source for such plans and equipment; and from it we can learn to appreciate the strengths and weaknesses of traditional systems of instruction better than we can from the early twentieth century critics of those systems. School Architecture, p. 6. Barnard's reputation as a great orator suggests that had he had the time he could have written much better than he did. School Architecture, or Contributions to the Improvements of School-Houses in the United States was an ungainly work. It had grown by accretion, beginning in 1838 with the text of an address on the disgraceful condition of the average schoolhouse, and becoming by 1842 a major manual on the art of building and equipping schools. To the heterogeneous committees that planned local schools, and to the citizens who paid for their construction, Barnard offered much improved patterns for facades, floors, yards, mechanical equipment, and furniture. In all his works, Barnard excelled as a compiler; and into this one he crammed available statistics and reports on the condition of existing school buildings, representative plans and elevations for various exemplary schoolhouses, designs for effective ventilating and heating systems, and the better catalogues and descriptions of instructional aids. All this he "unified" with a detailed index and an occasional editorial comment. But as for any art in his presentation, alas-"it was the wish of the author to revise that portion of the work in which the general principles of school architecture are discussed, and to arrange the various plans and descriptions of improvements in the construction, internal arrangement, and furniture of schoolhouses under appropriate heads. But his time is too much absorbed in the immediate and pressing duties of his office, to admit of his doing anything beyond a general superintendence of the publication, and the preparation of a few additional plans.... "
On the use of pattern books in school building see "The Use of Architectural Handbooks in the Design of Schoolhouses from 1840 to 1860," by Barbara Wriston, Journal of the Society of Architectural Historians, Vol. 22 ( 1963), 155-60. Unfortunately, Wriston pays too little attention to the pedagogical significance of the various designs she surveys. See Andrew Jackson Downing, A Treatise on the Theory and Practice of Landscape Gardening Adapted to North America. ... with Remarks on Rural Architecture (New York and London: Wiley and Putnam, 1841); and Alex· ander Jackson Davis, Rural Residences. ... Published Under the Supervision of Several Gentlemen, with a View to the Improvement of American Country Architecture (New York, 1837). Typical of the old builder's guides is Asher Benjamin, The Builder's Guide, or Complete System of Architecture (Boston: Perkins and Marvin, 1839); and Owen Biddle, The Young Carpenter's Assistant (Philadelphia: Benjamin John· son, 1805). For instance, see the interesting note by Joseph Masheck, "The Meaning of Town and Davis' Octagonal Schoolhouse Design," journal of the Society of Architectural Historians, Vol. 25 (1966), 302-4, in which Masheck tries to show the possible origin in Froebelian pedagogy of an original schoolhouse design. In form, >School Architecture was a pattern book, which was not an unusual layout for a building manual published in the 1840's. At that time such publications on architecture became popular, and they continued to be the companion of prospective builders until the end of the century. In Barnard's book on schoolhouses, in Andrew Jackson Downing's treatise on landscape gardening, and in Alexander Jackson Davis's guide to rural residences, the authors recognized that the building needs of Americans differed from those of their contemporaries in England and Europe. Americans needed architectural models that had been designed with local materials and conditions in mind. & buyers of clothing patterns today, the readers of these works could use the designs either without alteration or with adjustments to make them fit special needs. Gone were the days of the once popular builder's guides, in which only structural and decorative details were illustrated. With the older guides the hapless reader, often a man who was inexperienced in building, had been forced to ponder alone how classical orders, designed to be executed in stone, might serve to stable his horses or grace his wooden outhouse. In the new pattern books whole buildings, rather than details, were illustrated and the readers were shown how historical styles might form a liveable rural residence or an efficient school. Authors of these books created building types and forms that have no historical counterparts. Barnard's >School Architecture, however, was more than a simple pattern book. To be sure, it was first of all a pattern book, and it even included two designs from Barnard's own hand-the Windsor and Washington District schoolhouses in Connecticut. He gave both schools what has come to be called Greek Revival facades, apparently for reasons of association: "Every schoolhouse should be a temple, consecrated in prayer to the physical, intellectual, and moral culture of every child in the community, and be associated in every heart with the earliest and strongest impressions of truth, justice, patriotism, and religion." But Barnard did more than edit a good pattern book, including in it some of his own designs. In doing this task well, in bringing to it a keen sense of architectural judgment and a profound understanding of education, he did nothing less than define the character of school architecture in the United States. He brought architecture and pedagogy into cooperation, and through this cooperation, he determined the characteristic concerns to which the designers of schools must still attend. John Ruskin, The Seven Lamps of Architecture, 1849 (New York: The Noonday Press, 1961 ), p. 15. Ibid., p. 15; cf. pp. 15-16. Le Corbusier, Vets une architecture, Nouvelle edition revue et augmente, (Paris: Editions Vincent, Freal et Co., 1958), p. 3. Wilhelm Dilthey, Piidogogik: Geschichte und Grundlmien des Systems, 3rd unverlinderte Auftage, Gesammelte Schriften, IX Band (Stuttgart: B. G. Teubner Verlagsgesellschaft, 1961), p. 7. Henry Barnard, Educationa Aphorisms and Suggestions, Ancient and Modern (Philadelphia: J. B. Lippincott and Co., 1861), pp. 9-64. Architecture puts building in the service of spirit. Hence significant feature Barnard's school was his pedagogy, for it pedagogy that gave architectural-that is, spiritual significance to improved design. By we mean a theory about what man can and should become means which he be helped fulfill destiny. Thus Wilhelm Dilthey, profound student "human sciences," wrote blossom goal all true philosophy is its widest sense-the formative man." Educational Aphorisms and Suggestions, Ancient and Modern, Henry Barnard spun together a pedagogy by prefacing the section on "Education, Its Nature and Value" with an even longer section on "Man, His Dignity and Destiny." Hence, to understand Barnard's architecture we need to go back and savor early nineteenth century conceptions of man; we need to learn how human character was thought to be formed and to discover why, given such a conception of character, rational, efficient school design was spiritually important. this campaign see Ellwood P. Cubberley, Public Education in the United States, Revised Edition (Boston: Houghton Mifflin Co., 1947), pp. 120-407; Frank Tracy Carlton, Economic Influences upon Educational Progress in the United States, 1820-1850 (New York: Teachers College Press, 1965), esp. pp. 49-140; and Rush Welter, Popular Education and Democratic Thought in America (New York: Columbia University Press, 1962), pp. 45-137. Welter, however, does not say much about Barnard's part. Quoted by Noah Porter, "Henry Barnard" in The American Journal of Education, Vol. 1 ( 1856) 662. It became a regular feature of the reports of state secretaries and commissioners of education to expose the conditions of schoolhouses. See Barnard's Annual Reports of The Board of Commissioners of Common Schools in Connecticut (Hartford: Case, Tiffany and Burnham, 1839), pp. 47-49; 1840, p. 34; 1841, pp. 14-18. See also Horace Mann, Annual Reports of the Board of Education Together with the Annual Reports of the Secretary of the Board (Boston: Dutton and Wentworth, Fifth, 1842), pp. 30-32; Seventh (1844), pp. 47-50; and Tenth (1847), pp. 65-72, 152-53. For a particularly egregious example of such assumptions, see John S. Brubacher (ed. ), Henry Barnard on Education (New York: Russel and Russel, 1931, 1965), especially the section on "General Aims of Education," pp. 69-76. It does not do justice to Barnard to characterize him as a twentieth century life-adjustment educator. Brubacher saddles Barnard with a pedagogy antithetical to Barnard's real one by saying (p. 69): "to him schools were agencies of social rejuvenation. On the one hand this meant that they must equip the individual with the tools necessary for adjustment to his immediate environment. But Barnard also had in mind a broader horizon of the environment to which the schools must adjust not only children but even adults." Barnard had no such grandiose conceptions of the school's power; it could, with luck, impart to students the skills and standards that would enable them, each as he saw fit, to embark on the arduous course of self-education. For all that has been written about the nineteenth century apostles of public education, there is little said their pedagogy. We know in detail arguments Horace Mann and Henry Barnard used to gain support common school. how why a vigorous effort at persuasion convinced New Englanders that, as put it 1837, school will no longer be regarded >common, because it is cheap, inferior, and attended only by the poor, and those who are indifferent to the education of their children, but common as the light and the air, because its blessings are open to all, and enjoyed by all." We even know that part of the zeal for schoolhouse construction came from the wise realization that communities could be provoked into taking an interest in their schools by embarrassing them into appropriating funds for the construction of a new schoolhouse. But we know little of the pedagogy with which common school educators worked, for it has been generally assumed that the pedagogical purposes and procedures of the common schools were the same as those of the twentieth century public schools. Would that they were—if we would have our schools today informed by a profound and humane conception of education! For instance, the article on Barnard by Harris Elwood Starr in the Dictionary of American Biography typically begins: "Barnard ... shares with Horace Mann the distinction of stimulating and directing the revival of popular education which began in this country in the first half of the nineteenth century." Quoted by Bernard C. Steiner, Life of Henry Barnard, Bureau of Education, Department of the Interior Bulletin No. 8 (Washington: Government Printing Office, 1919), p. 83. For these years see ibid., pp. 84-127. For a proper emphasis on Barnard's scholarly work during these years, see the Columbia University Ph.D. dissertation by Richard Emmons Thursfield, Henry Barnard's American Journal of Education (Baltimore: The Johns Hopkins Press, 1945). See also Lawrence A. Cremin, The Wonderful World of Ellwood Patterson Cubberley (New York: Teachers College Press, 1965), pp. 6-12, for a good brief appreciation of Barnard's scholarly contributions. Thus, the true measure of Barnard's accomplishment is to be found in the words of the English educational historian, Robert Herbert Quick: "To Dr. Henry Barnard the first United States Commissioner of Education who in a long life of self-sacrificing labour has given to the English language an educational literature...." See Quick's Essays on Educational Reformers, Authorized Edition (New York and London: D. Appleton and Co., 1917), p. v.
With Henry Barnard it is especially important to examine carefully his pedagogical ideas, for these were the very heart of life work. customary Barnard, along Horace Mann, as one great practical reformers antebellum public schooling. be sure, services that rendered cause common school in Connecticut and Rhode Island from 1838 1854 almost those Mann gave Massachusetts 1837 1848. Nevertheless, likening obscures more than clarifies. Born 1811, was fifteen years younger he had none early disadvantages overcome. At twenty-seven became secretary State Board Education after a brief brilliant career politics. sixteen spent service schools testing time, young manhood. age fortythree retired Superintendent take up "certain educational undertakings national character"; and Horace Mann died when these undertakings—among them >The American Journal of Education—were still in their infancy. Barnard lived until 1900, and for most of the forty-one years that he outlived Horace Mann he was fully active. During those years, his short stints as Chancellor of the University of Wisconsin, as President of St. John's College, and even as United States Commissioner of Education were not as rewarding as his unrelenting work as a pedagogical publicist. To judge Barnard rightly, he should be viewed, not as a contemporary of Horace Mann, but as a second-generation educational reformer. Barnard's task was not, as Mann's had been, to found an educational profession in the United States, but to ensure that the recently founded profession would master, utilize, and improve the great literary, philosophical, and pedagogical heritage of the West. Much of this material was collected by Barnard in single volumes that are, like the Journal, very useful sources. See: English Pedagogy, 2 vols., 2nd ed. (Hartford: Brown and Gross, 1876); German Educational Reformers, rev. ed. (Hartford: Brown and Gross, 1878); German Pedagogy, 2nd ed. (Hartford: Brown and Gross, 1876); Pestalozzi and His Educational System (Syracuse, N.Y.: C. W. Bardeen, n.d.); American Pedagogy, 2nd ed. (Hartford: Brown and Gross, 1876) . See the index of Educational Aphorisms and Suggestions, pp. 201-2. It would take us too far afield to delve here into the sensitive and erudite histories that were serialized in various volumes of >Journal. For our purposes, it is sufficient to know that the Journal was a rich compendium on the pedagogical traditions of America, England, Germany, France, and Spain. Even the Educational Aphorisms and Suggestions, which of all Barnard's pedagogical works went furthest to meet the busy practitioner on the level of day-to-day concerns, was not a compendium of schoolmaster's precepts; on the contrary, the aphorisms were educational in that they were meant to educate the teacher, and Barnard's most frequent sources were Aristotle, the Bible, Cicero, Goethe, Herder, Jacobi, Kant, Luther, Niemeyer, Plato, Plutarch, Quintilian, Richter, Schiller, and Seneca. Indications such as these should prevent us from mistaking the younger Barnard, the author of School Architecture, for a practical administrator who was innocent of cultural theories. Barnard's own education should further warn us against such a mistake. These are the words of President Day's successor, Noah Porter, taken from his excellent sketch, "Henry Barnard," The American Journal of Education, Vol. 1 ( 1856), 665. In these paragraphs on Barnard's education we have relied mainly on this essay by Porter and James L. Hughes, "Henry Barnard, the Nestor of American Education," New England Magazine, New Series, Vol. 14, No.5 ( 1896), 560-71. Barnard's biographer, Bernard C. Steiner, claimed that Barnard visited Pestalozzi at Yv but Pestalozzi had been dead for nine years! Further, Barnard "also saw nberg and Hoffweil [sic!] and so increased his acquaint· ance with educators." See The Life of Henry Barnard, p. 23. Perhaps a more authoritative biography is in order. Porter, "Henry Barnard," p. 665. Anyone interested in the pedagogy of >School Architecture should observe the men that Barnard sought out while on his grand tour. Most writers are impressed by his visit with Fellenberg at Hofwyl, where he went to acquaint himself with the methods of the Swiss educational reformers. But it is much more interesting to look with some wonder at the men he visited in Great Britain. As a young man, Barnard knew English literature well, so well that Noah Porter, President of Yale, later reminisced that "few professed scholars among us at the age of twentyseven, were so thoroughly familiar with the ancient and modern English literature." Consequently, we can assume that in his choice of whom to look up in Great Britain, Barnard reflected his considered tastes and valuations, not merely the conventional interests of his time. For the influence of Lord Brougham on the youthful Barnard, see James L. Hufhes, "Henry Barnard, the Nestor of American Education," p. 563. Far and away the best work on Brougham is Chester W. New, The Life of Henry Brougham to 1830 (London: Oxford University Press, 1961). First and foremost Barnard introduced himself to one of the heroes his youth, Lord Brougham. It was from Brougham that got sense public service enthusiasm for broadening educational opportunity. Brougham's contribution cultural life Britain immense: he started >Edinburgh Review, and by its success in promoting the Whig cause, he provoked the establishment of its rival, the Tory Quarterly Review; in Parliament he was indefatigable in advancing the cause of popular schooling; he was elected Lord Rector of the University of Glasgow, winning over Sir Walter Scott; he helped to found the Mechanics' Institutes, the Society for the Diffusion of Useful Knowledge, and The University of London, three landmarks in the democratization of education; and finally, from 1830 to 1835 he served as Lord Chancellor. It is hard to imagine a finer model for a young man who aspired to public service. But Brougham was not enough for Barnard. For Lockhart, see Marion Lochhead, John Gibson Lockhart (New York: Transatlantic Arts, 1954). For DeQuincy see Edward Sackville-West, A Flame in Sunlight: The Life and Work of Thomas DeQuincy (London: Cassell and Co., 1936); and Thomas DeQuincy, Confessions of an English Opium-Eater Together with Selections from the Autobiography, Edward Sackville-West, ed. (New York: Chanticleer Press, 1950) . There are interesting essays on Wordsworth as an educational thinker in S. J. Curtis and M. E. A. Boultwood, A Short History of Educational Ideas, 3rd ed. (London: University Tutorial Press, 1961 ), pp. 298-315; and William Walsh, The Uses of Imagination: Educational Thought and the Literary Mind (New York: Barnes and Noble, 1960) . See Carlyle, Sartor Resartus, Carlyle's Complete Works, The Sterling Edi­ tion, Vol. 1 (Boston: Estes and Lauriat, n.d.); The Life of Friedrich Schiller, ibid., Vol. 20; and Johann Wolfgang von Goethe, Wilhelm Meister's ApprenticeshiJ.Thomas Carlyle, trans. (New York: Collier Books, 1962). Two vols. (London: W. Pickering, 1833) . For Combe, who merits more respect than those who deprecate phrenology as ·a foolish fad are inclined to give, see his Lectures on Popular Education, 3rd ed. (Edinburgh: Machachlan, Stewart and Co., 1848); and Education: Its Principles and Practice (London: Macmillan and Co., 1879). To get another point of view, young Barnard visited John Gibson Lockhart, the excellent editor >Quarterly Review and a biographer whose already published life of Burns merely hinted at the excellence of his Life of Sir Walter Scott, which he was working on at the time of Barnard's visit. In addition, Barnard sought out Thomas DeQuincy of opium-eating fame, whose criticism and reminiscences fairly merited the interest he attracted. Then he spent a day with DeQuincy's even more famous friend, the romantic poet, William Wordsworth. Perhaps on the recommendation of Ralph Waldo Emerson, Barnard also called on Thomas Carlyle, who was then noted as a transcendental tailor who had memorialized Schiller and had translated Goethe's Wilhelm Meister. In Scotland, Barnard met Thomas Chalmers, the fiery preacher, the reformer of the poor in Glasgow, and the author of several treatises on natural theology, among them On the Power, Wisdom, and Goodness of God, As Manifested in the Adaptation of External Nature to the Moral and Intellectual Constitution of Man. Finally, perhaps we should say inevitably, Barnard saw George Combe, phrenologist. Thomas Carlyle, Sartor Resartus, Book Two, Ch. III, "Pedagogy," Carlyle's Complete Works, Vol. 1, p. 88. For us, the point of these visits is simply this: it would be unwise to expect that a man twenty-five who could select personages seek out at same time have simplistic view pedagogy and culture. There was in character men profound mastery literary culture, high standards measurement any accomplishment, strong sense romantic, transcendental naturalism. They were apostles human spirit its capacity self-improvement. them, nature one same; hence nothing stilted or priggish their conviction by comprehending natural divine order, chart courses themselves bring them closer perfect harmony. different ways each stood power every educate himself, possibility person use literature, art, science improve his lot life. >Sartor Resartus, Carlyle had Teufelsdrockh describe the secret of this pedagogy: "'from the chaos of that Library, I succeeded in fishing up more books perhaps than had been known to the very keepers thereof. The foundation of a Literary Life was hereby laid.... Farther, as man is ever the prime object to man, already it was my favorite employment to read character in speculation, and from the Writing to construe the Writer. A certain groundplan of Human Nature and Life began to fashion itself in me; wondrous enough, now when I look back on it; for my whole Universe, physical and spiritual, was yet a Machine! However, such a conscious, recognized groundplan, the truest I had, was beginning to be there, and by additional experiments might be corrected and indefinitely extended.'" Then, as Teufelsdröckh's editor, Carlyle added a comment that characterized the pedagogical faith of the transcendental thinkers: "thus from poverty does the strong educe nobler wealth; thus in the destitution of the wild desert does our young Ishmael acquire for himself the highest of all possessions, that of selfhelp." School Architecture, 2nd ed., p. 61. In view of this background, we should not be surprised to find that Barnard's >School Architecture the self-cultivation of one's moral nature was essential to his pedagogy. Potentially, every man had a particular moral constitution, one that was of unique, enduring value to humanity; and the problem for the educator was to help each person bring this potentiality into fruition. To do this, each person needed, as Barnard put it, to "form a high standard to aim at in manners, morals, and intellectual attainments." Without standards, without an idea of man and his place in the world, a person could not form a worthy goal and direct his every effort toward its attainment. Hence the main business of the school was to impart these cultural standards to each pupil. The school was not to ensure the attainment of these ideals; it was to provide an occasion for their formation. In doing so, the school would be making the one essential contribution that an institution could make to the self-education that was the right and duty of every man. If at school pupils formed high standards, "many an idle hour would thus be redeemed, and the process of self-culture [would] be commenced, which would go on long after their school-life was ended." A schoolhouse was work of architecture to the degree that building itself enhanced school's performance its cultural task: be an emblem for pupils high ethical and rational standards. As Barnard saw it, children were independent, potentially persons who were, while in school, forming standards they would thereafter accept realms manners, morals, mind. From point view architecture, it less important ask what learn >at school than it was to ask what they would learn from the schoolhouse. Thus, the essence of Barnard's conception of school architecture is found in his observation that "It is not to be wondered at that children acquire a distaste for study and a reluctance to attend school, so long as schoolhouses are associated with hours of prolonged weariness and actual suffering from a scanty supply of air, and seats and desks so arranged and constructed as to war against their physical organization." John Sullivan Dwight, "The Religion of Beauty," The Dial, Vol. 1 (July 1840), 18-20. Barnard's conception of the standards that children were likely to form from their experience average school will be clear anyone who reads his text. Here let us note how, during 1840's, schoolhouse was a general symbol spiritually degrading environment. For instance, John Sullivan Dwight, young transcendentalist minister, exclaimed Northampton congregation: "Beauty is moral atmosphere. close, unseemly schoolhouse, in which our infancy cramped,-of how much natural faith did it not rob us! unlovely garb we first see Knowledge and Virtue! uninteresting seemed Truth, unfriendly looked instruction, with what mean associations names God Wisdom connected memory! violation nature peace Duty! an intrusion on mind rights! rebellion has been nurtured within by ugly confinements artificial life education have accustomed insensible cold made expressive features works, always around us, inviting high refreshing converse!" This outburst climax impassioned plea new but illustrative example introduced sermon Religion publication volume >The Dial showed that an influential group was willing to condemn the existing school as a blasphemy against the divine spirit in man. At this time, men generally found the most convincing proof of moral order, from which all personal standards were to be derived, in evidence design natural those "expressive features God's works." Recall wonderful title book by Barnard Scottish acquaintance, Thomas Chalmers->On the Power, Wisdom, and Goodness of God, As Manifested in the Adaptation of External Nature to the Moral and Intellectual Constitution of Man. Surely if God could adapt nature to man, man should be able to adapt the close, unseemly schoolhouse to the moral and intellectual constitution of the child. And until there was evidence of design in the school building itself, it would be sanguine to expect children to form for themselves standards and aspirations as stirring as they might if the schools were better models. See Elizabeth Peabody, Record of Mr. Alcott's School, Exemplifying the Principles and Methods o Moral Culture, 3rd ed. (Boston: Roberts Brothers, 1888)' p. 13 ff. See Augustus Welby Northmore Pugin, Contrasts: Or A Parallel Between the Noble Edifices of the Fourteenth and Fifteenth Centuries and Similar Buildings of the Present Day, Showing the Present Decay of Taste, .Accompanied by Appropriate Text (London: Pugin, 1836). Concern for the moral and cultural influence of bad classroom design impelled effort to erase blasphemy cheap, cold, cramped, degrading schoolhouses. Today many think that such moralistic motives led architectural reformers specify only an edifying overlay icons. furnishings A. Bronson Alcott's provide example what might have often happened: in four comers room stood busts Socrates, Shakespeare, Milton, Scott, which, along with other icons, almost daily occasioned improving dialogues between his pupils. There were makings a great debate among school architects over whether Greek, Romanesque, Gothic, or Renaissance styles more conducive spiritual growth child; after all, these same years English architect, W. N. Pugin, was vigorously asserting superiority Gothic architecture. But, perhaps consternation those who believed rational architecture be free metaphysics, from very beginning outrage against poor schoolhouse resulted practical proposals about comfort efficiency. Barnard designs, as contemporaries, main not revivalistic facades is indicated by preponderance floor plans facade designs >School Architecture, the primary interest was in making the school as convenient and serviceable as possible. Elementary School-rooms," published as an appendage to The journal of Education (April 1829) . William J. Adams, "Lecture XIII. On the Construction and Furnishing of School Rooms; and School Apparatus," American Institute of Instruction Annual Meeting (August 1830). At that time, the major design problem in architecture had come to be formal discipline: laying out axes, achieving symmetry construction, and selecting themes motifs could carried through into details would, their overall effect, give a harmonious, pleasing impression. Yet earliest American writer on improvement of schoolhouses made convenience essential attribute architectural beauty. In 1829, this anonymous contributor toSchool Magazine illustrated his article with only a floor plan. He discussed such practical matters as the latest methods of heating and ventilating oneroom schools and the problems of properly locating the schoolhouse in the landscape. A year later William J. Adams elaborated the same topics in his lecture to the American Institute of Instruction "On the Construction and Furnishing of School Rooms." His concern for efficiency and convenience was so great that he even recommended that school roads be macadamized, a novel paving technique that had recently been developed in England. Barnard's interest in comfort and efficiency went even further; and his book, as a whole, was an extended treatise on the design, equipment, and maintenance of an efficient schooL As such, it was quite appropriate to devote, as Barnard did, two of the book's six sections to instructional aids and the library; to take, as Barnard did, many pains to plan the classroom for various definite systems of instruction; and to include, as Barnard did, directions on the use and preservation of classrooms and their furnishings. For the contemporary view of school architecture, see Architectural Forum, Vol. 119, No.2 (August 1963); and Vol. 119, No.5 (November 1963), which were devoted respectively to the suburban and the city school. School Architecture, 2nd ed. pp. 40-62. Description of Barnard's School Architecture, 6th ed., drawn up by H. W. Derby and Co., its publishers, and included in The American Journal of Education, Vol. 1 (1856), 742. For some years prior to Barnard's publication, architects like Charles Bulfinch had been basing their designs of penitentiaries on the premise that convicts were morally influenced by the architecture of prisons. They consequently tried to provide for the efficient, comfortable operatwn of the prisons they designed, and it was the excellence of some of these designs that brought Alexis de Tocqueville to this country. See the Report of Charles Bulfinch on the Subject of Penitentiaries, Feb. 13, 1827, Nineteenth Congress, Report No. 98, House of Representatives, Second Session (Washington: Gales and Seaton, 1827). Butfinch, America's first native-born architect, also designed and inspected schools in Boston from 1791 to 1816. His last official visit to Boston's third Latin School, which he had designed in 1812, was marked by the reading of a poem, "Eloquence," by a thirteen-year-old, R. W. Emerson. It is interesting to speculate about the influence of Bulfinch's school architecture on the development of Emerson's character. Writers on the design of schoolhouses have continued to stress efficiency exterior surroundings, interior layout, and mechanical apparatus instructional aids needed run a good school. influence >School Architecture has been largely responsible for making school design the equivalent of utilitarian design. Functional efficiency was the essential theme of Barnard's remarks on the General Principles to be observed in school architecture. Between 1838 and 1855 more than 125,000 copies of these remarks were printed in various forms, and copies were furnished to every town in New York, Massachusetts, Connecticut, Rhode Island, Vermont, New Hampshire, Ohio, Indiana, and the Province of Upper Canada. The success of Barnard's work has ensured that school designers will not ignore the ten topics that he considered essential: location and type of construction, size, light, ventilation, heating, seats and desks, arrangements for the teacher, instructional aids, the library, and the yard and external arrangements. Although not quite the earliest, Barnard's was one of the most thorough treatises on architectural functionalism in America. William A. Alcott, Essay on the Construction of School-Houses to Which Was Awarded the Prize Offered by the American Institute of Instruction (Boston: Hilliard, Grey, Little, and Wilkins, 1832). See "The Yale Report of 1828," in Richard Hofstadter and Wilson Smith (eds. ), American Higher Education: A Documentary History (Chicago: The University of Chicago Press, 1961), Vol. I, p. 278. The Yale Report, although it does not use the term, is one of the most lucid discussions of the relation of the school to the pedagogy of self-education. Another essential contribution was Epistle LXXXVIII by Seneca, "On Liberal and Vocational Studies," Ad Lucilium Epistulae Morales, with an English translation by Richard M. Gummere (Cambridge: Harvard University Press, 1920), Vol. II, pp. 349-77. It was the pedagogy of self-education that gave efficiency school such great cultural significance. real life, and one's true education self in course life. had an essential, but circumscribed function this process self-culture; its business to encourage formation a few basic skills certain crucial standards by means which man could continue unaided form his character, discipline furnish mind, lead himself out himself, cultivate continually personal aspirations. Since simply prelude, preparation, initiation into education, self-culture, should impart preparation with utmost possible efficiency. curriculum consisted subjects, progress measured mastery those skills. If, as Barnard case, ready enter Yale at fifteen, well so much better; object itself lay foundation superior education." Beyond embodied prescribed curriculum, colleges expected students acquirements come through debating societies Thus, entire system, instruction ruling pedagogical principle because any inefficiency postponed day when young would meet teachers. all get >commencement having mastered certain matters pertinent to one's manners, morals, and mind, and having wasted as little time and effort as possible in doing it. Bad schoolhouse design was the cause of much wasted time and effort. It not necessary to have classrooms arranged badly. Small expenditures could purchase useful instructional aids. With a little thought, comfortable seats desks be designed replace old horrors behind which children sometimes completely disappeared, their heads inches below desk tops, feet dangling above ground. Only inertia niggardliness caused air suffocate efforts pupils teachers alike cold numb hopes. All these causes inefficiency in instruction removed, if school would more effective institution. Thus, one better explanations integral connection between efficient schooling humane self-culture is found Barnard's >School Architecture. "The inefficiency of school education of every name, is mainly owing to the want of such cheap and simple aids as have been briefly alluded to above, and of methods of instruction based upon, and adapted to them, begun early and continued throughout the whole course. Hence, much of the knowledge of early life is forgotten, and more of it lies in dead, useless, unassimilated masses, in the memory. It does not originate, or mould, or color the meditations of the closet, and is not felt in the labor of the field, the workshop, or any of the departments of practical life. The knowledge then found available is the result of self-education, the education attained after leaving school by observation, experience and reading. Under any opportunities of school education, this self-education must be the main reliance, and the great object of all regular school arrangements should be to wake up the spirit, and begin the work of self-culture as early and widely as possible." Let us review our major points. Architecture differs from building in that the architect is primarily concerned with cultural, rather than physical, attributes of an edifice. Barnard's >School Architecture, and in the standard conception of school design that has flourished ever since, the physical efficiency and comfort of the classroom has been the main concern. When Barnard wrote, the average schoolhouse was egregiously inefficient and uncomfortable, and it was generally condemned for spiritually degrading the child. Given this situation, the functional rationalization of the classroom was architecturally significant because the cultural function of the common school with respect to the reigning conception of self-education was to give efficient instruction to all in the rudiments of a spiritual life. The school had to impart certain intellectual skills and moral standards as efficiently as possible in order to send the pupil on the real business of education-self-culture-with a full preparation and without undue delay. As long as the school has this cultural function, operational efficiency will rightly be the main object of the school architect.